Harlem has some new tenets. Marvel has announced today that newcomers Mustafa Shakir and Gabrielle Dennis have joined the cast of Luke Cage season 2, which is expected to arrive via Netflix in 2018, in line with previous rumors. Those names ought to ring a bell for anyone familiar with the Luke Cage comics. John McIver, for instance, was a street-wise youth who went on to become a formidable crime boss by the name of Bushmaster, while Tilda Johnson is better known among comic book fans as Nightshade, the criminal mastermind who once worked under Misty Knight (Simone Missick) to apprehend the Villains for Hire. Following his dust-up with Alexandra (Sigourney Weaver) and The Hand in The Defenders, Luke Cage season 2 will see Mike Colter’s reluctant hero return to Harlem in order to rekindle his relationship with Claire Temple (Rosario Dawson). 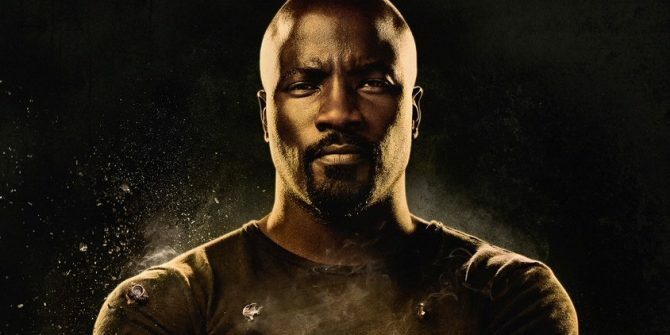 Cottonmouth and Diamondback are no more, but Power Man isn’t out of the woods yet; after all, both Alfre Woodard (Mariah Dillard) and Theo Rossi (Shades) have booked their place in the show’s second season, and we fully expect Marvel to cast a big-name villain to give Cage a run for his money. Perhaps Mustafa Shakir and/or Gabrielle Dennis will rise up against Luke Cage when season 2 premieres in 2018? We’ll find out soon enough. Next up for Mike Colter’s hooded hero is The Defenders on August 18th.